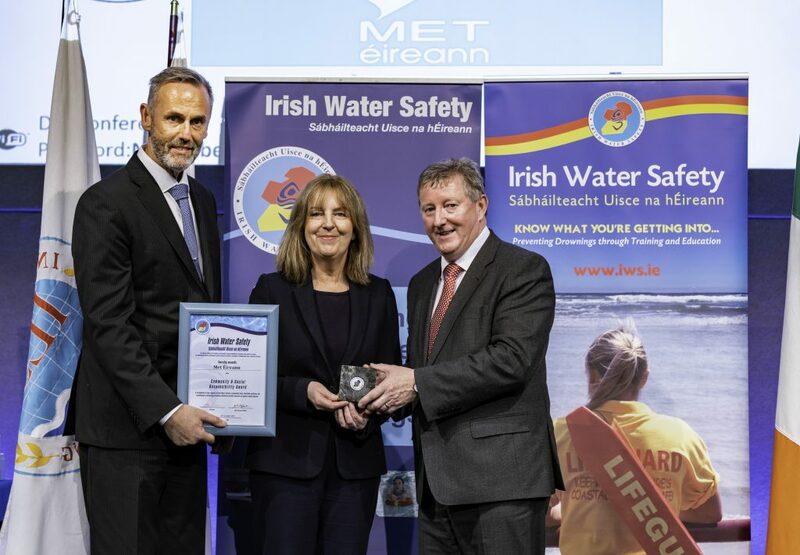 Irish Water Safety (IWS) presented Met Éireann with “The IWS Community & Social Responsibility Award” on Wednesday 28th November 2018 at Dublin Castle. 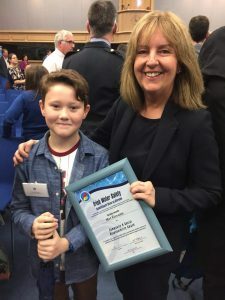 The Head of Forecasting in Met Éireann, Evelyn Cusack alongside colleagues Joanne Walker and Andrew Doran-Sherlock were there to accept the award. The award was presented by Mr. Seán Canney TD, Minister of State for Community Development, Natural Resources and Digital Development from the Department of Rural and Community Development. 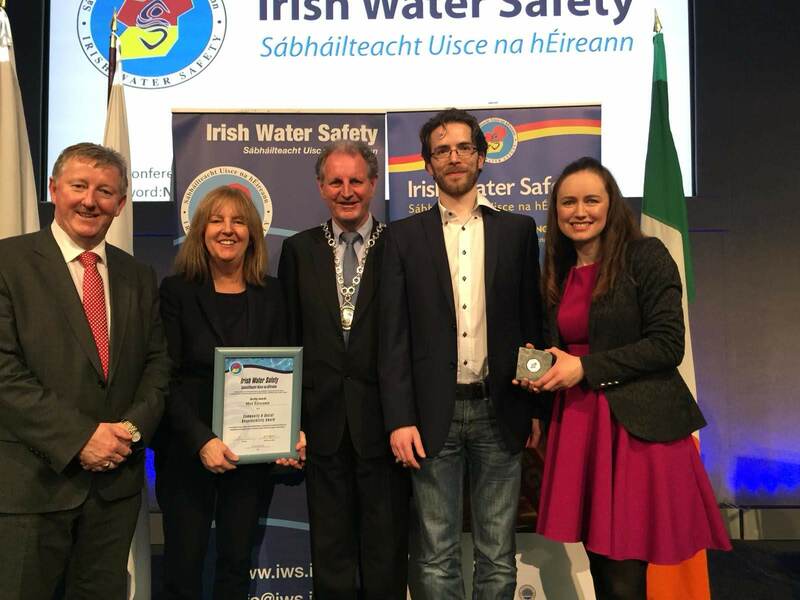 Irish Water Safety are a statutory and voluntary body and registered charity established to promote water safety and reduce drownings in Ireland. 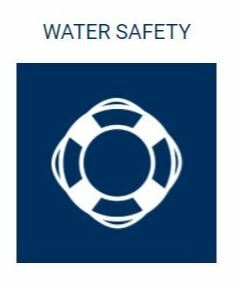 Their focus is on Public Awareness and Education of water safety. 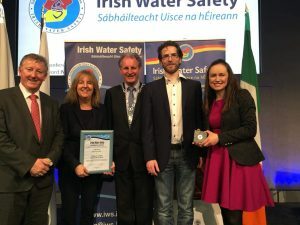 Met Éireann utilised our position of authority to publish Irish Water Safety advice on our website with a prominent link on our homepage to the Irish Water Safety website www.iws.ie from June to November and we also promoted IWS safety advice on our social media pages. Evelyn was honoured to have her photo taken with Finn Bell Ryan who won a SEIKO Just In Time award for saving the life of a three-year-old boy while on holiday in Portugal. He is the youngest ever recipient of this award.